If you like to step out of your building and be near all the action, then this is the vacation rental for you! 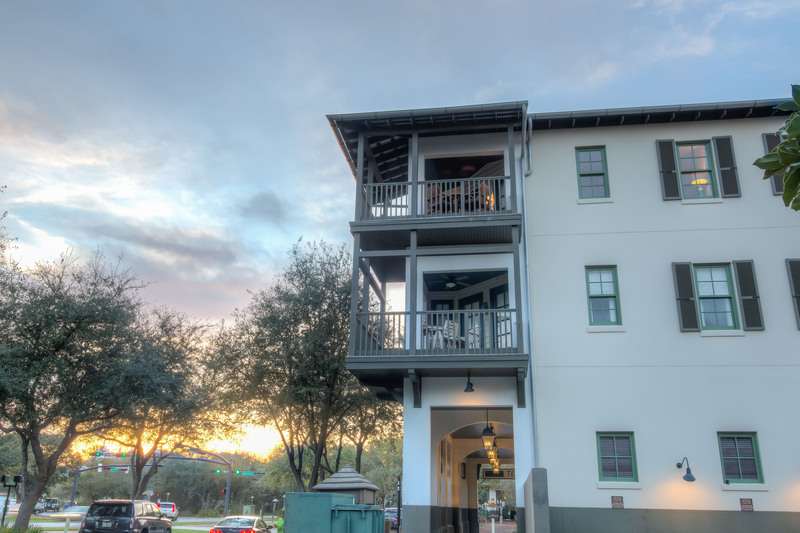 Gen’s Loft is located right at the center of Rosemary Beach. 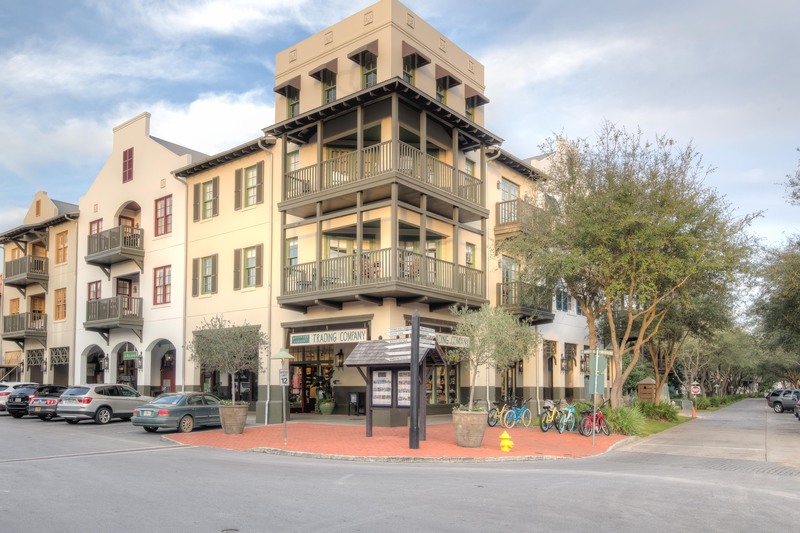 It’s two floors above iconic Rosemary Beach Trading Company and next to the venue where the Farmer’s Market takes place twice a week. 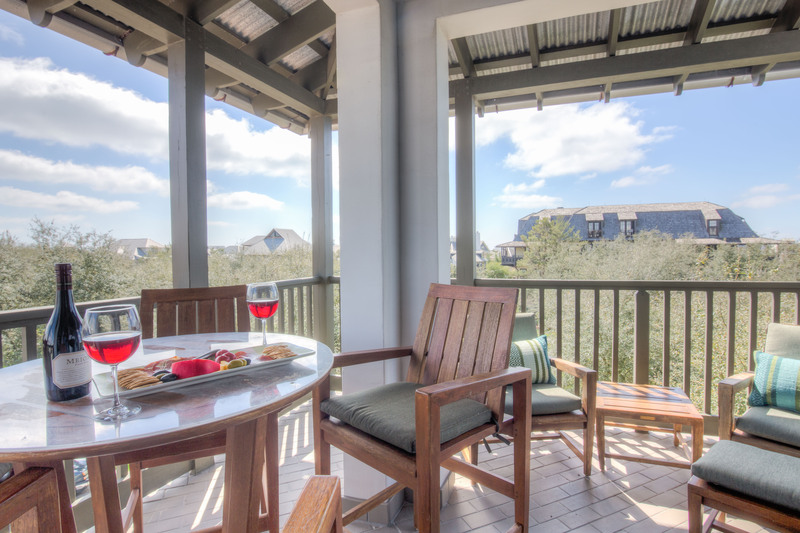 This 2 Bedroom, 2 Bath unit is unique for its stunning views of East Long Green Park and proximity to all shops and restaurants of Rosemary Beach. The large corner balcony is perfect for an afternoon cocktail or a meal in the crisp ocean air. 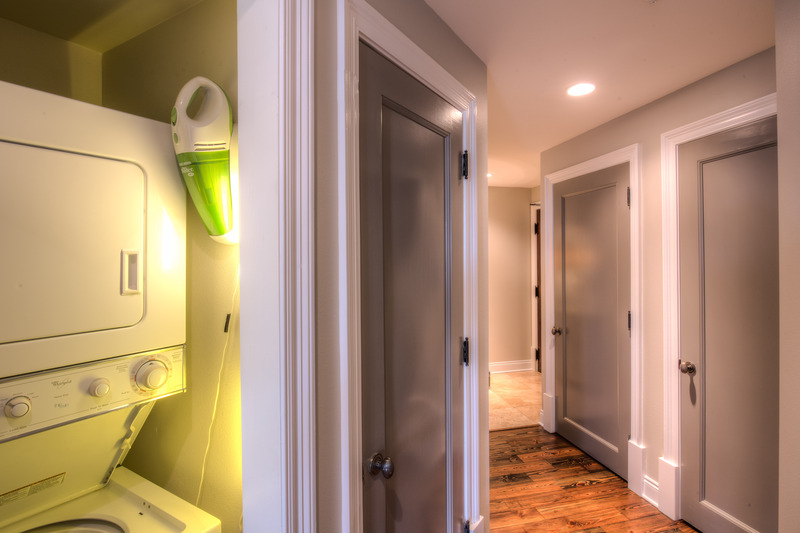 The loft features long hallways, tall ceilings, and an open living concept. 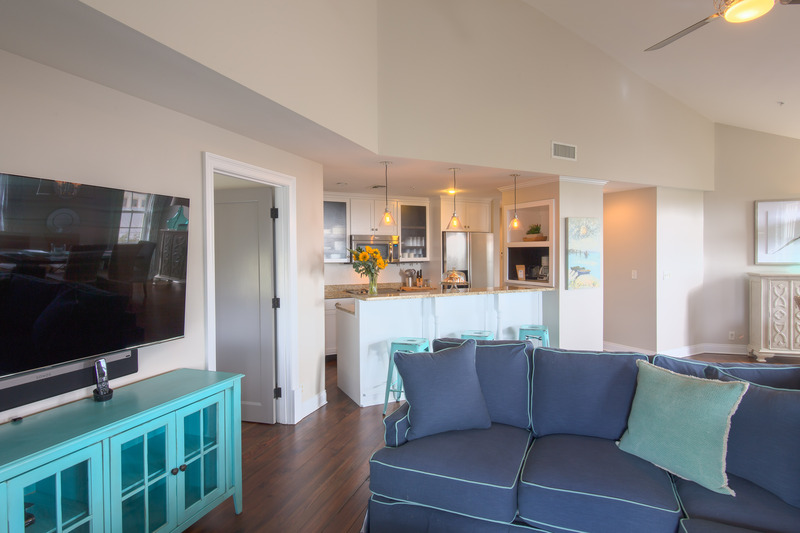 Whether visiting for work or play, Gen’s Loft is a great spot to call home during your visit to the beach. 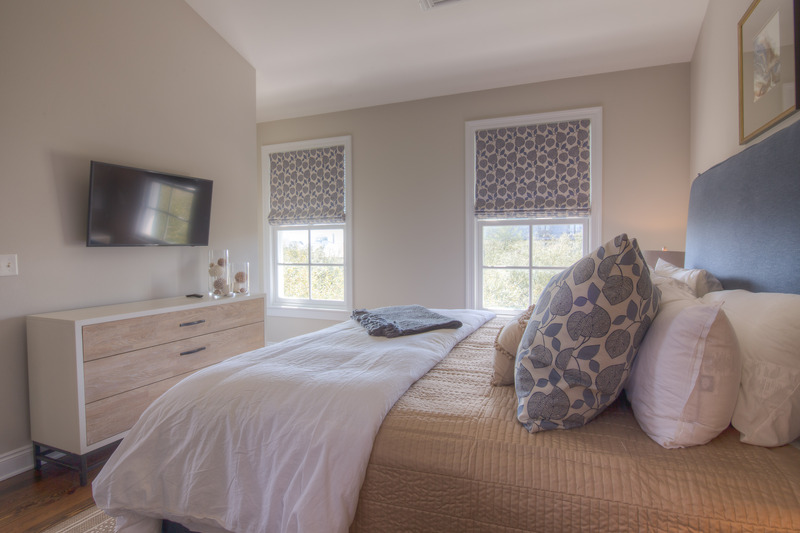 The guest suite offers a comfortable Queen bed and Samsung flat screen television. 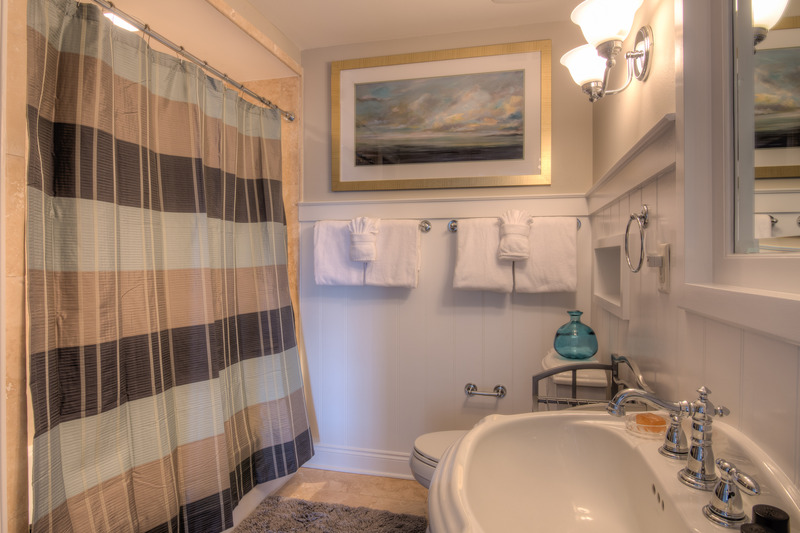 The shared hallway bath is just around the corner and features a custom tiled shower/tub combo. 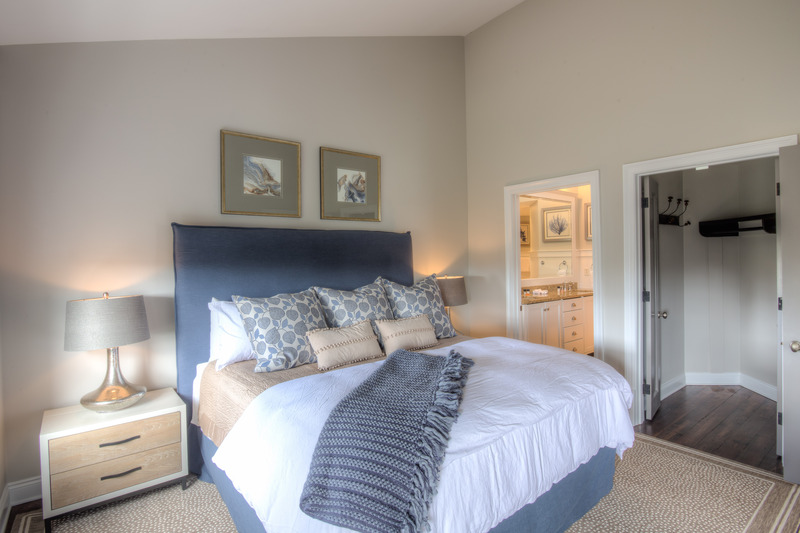 The master suite has an inviting King bed and private master bath. The master suite also has a Samsung flat screen television. The walk-in shower is beautifully tiled with a built in seat, the tub has relaxing jacuzzi settings, the toilet room is private and closed off, and there’s plenty of natural light from the skylight. 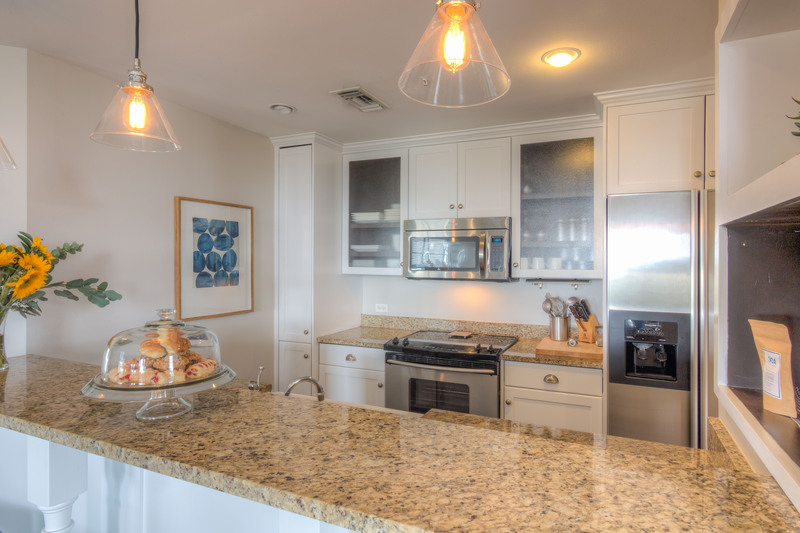 In the fully equipped kitchen, there are stainless steel appliances and a breakfast bar with seating for 3. 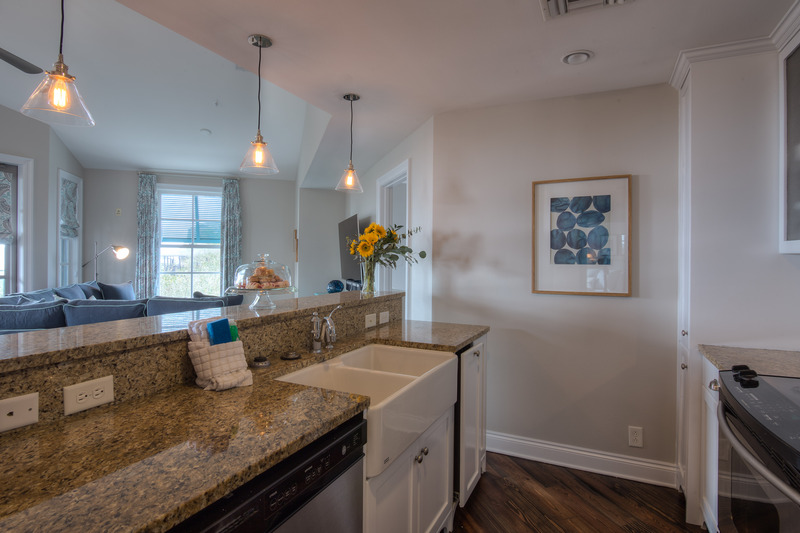 The dining room and living room are open to each other with views of Barrett Square and East Long Green Park. The dining table seats six. During down time, watch a movie on the large flat screen TV or take a nap in the sunlight on the couch. Feeling like a little music? Turn on the Sonos System and play music right from your phone. The living room features an Harmony Elite Smart Remote to control all media settings in one easy-to-use remote. 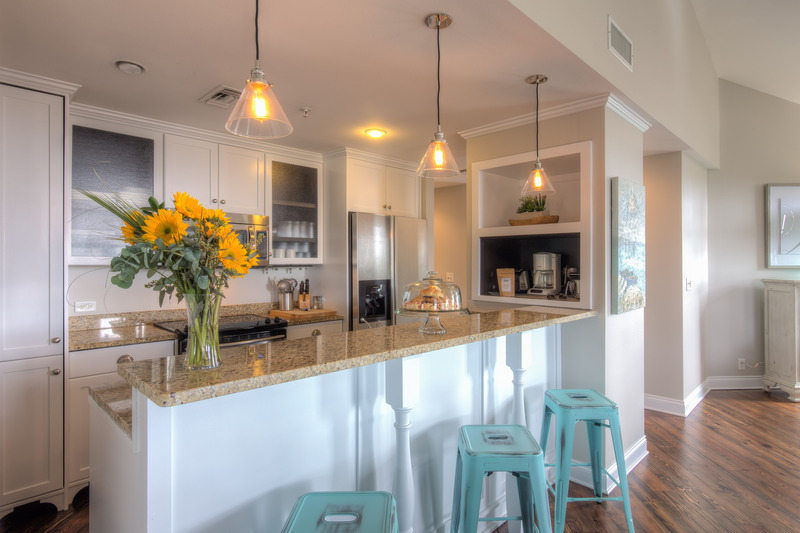 Gen’s Loft includes 2 adult rental bikes complimentary with every stay. 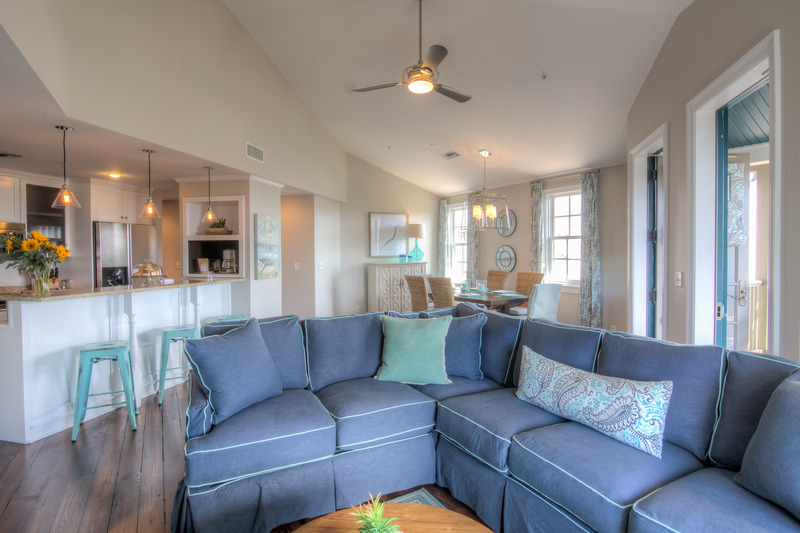 Access to 4 private Rosemary Beach pools, as well as private beach access is included. 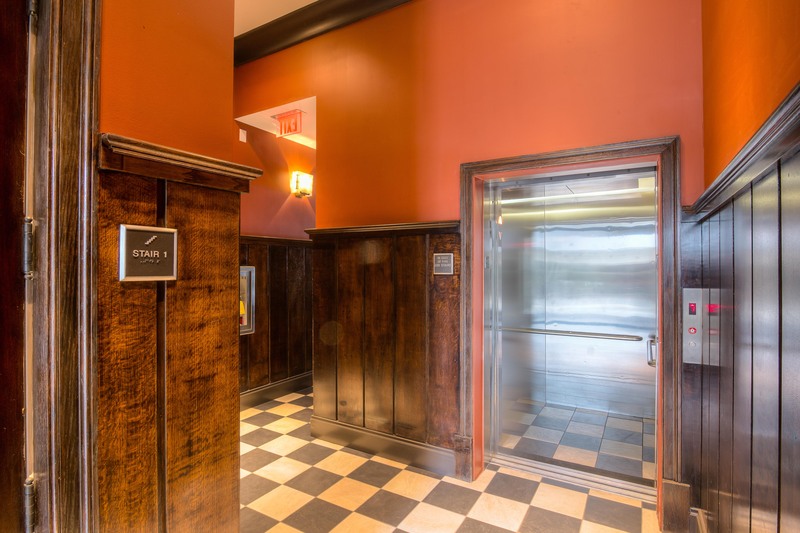 Thank you for your excellent review of Gen's loft! We hope we have the opportunity of welcoming you again soon! 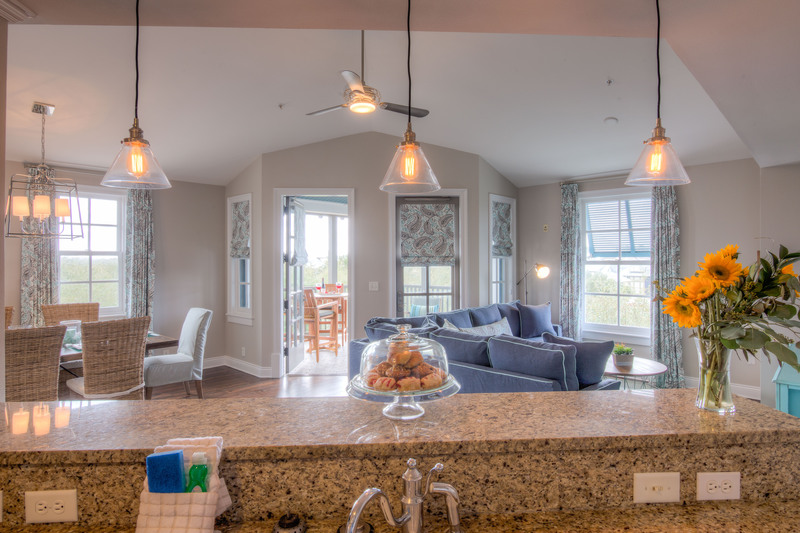 We spent a fantastic week at Gen’s Loft in Rosemary Beach! The location was perfect, especially with the balcony overlooking the farmer’s market and concert. The beach and pool were both an easy stroll away. The loft was spacious and well-appointed for our family of 4. The best thing about it was how spotlessly clean it was! We are VERY particular about cleanliness, and we usually spend our first night in Rosemary cleaning our rental home. This was not necessary this time, however. Even the often overlooked interior of the oven and microwave were spotless. The kids loved the jets in the master tub that turned a bubble bath into an adventure, and the adults loved the balcony for wine sipping in the evening. The only tiny issue was that we wanted a bike trailer for the kids. We were able to get one, but the property rep was not very helpful or friendly. I loved Gen's beautiful loft. It was very clean, convenient, and gorgeous. Great location, nicely decorated and very comfortable! Great place to stay. My husband and I along with our 2 year old so was nice to have a spare room. Nicely updated inside. The building was being updated (hallways and elevator). Perfect location. Walked to the beach everyday and to restaurants. Used the bikes to go to Alys everyday. There is a cute playground there for kids at Fonville. Highly recommend the Cowgirl for lunch or dinner. The pictures provided are accurate except the unit is on the backside of the building and not above the store on the front side as shown in the pic. Still very nice and quiet. Property came with tons of bath towels, coffee, creamer, trash bags, etc. Knowing RB and its location, we chose a loft in Barret Square instead of a carriage house or small house. Two people had a grand time in this spacious 2 BR apartment. This was our first trip to Rose Mary Beach and Gen's Loft and neither one disappointed. The loft is every bit as beautiful as the pictures depict. Don't let the lack of reviews concern you because this location was very well decorated, clean, comfortable and has everything you need. Everything looked and felt brand new (and was as we opened up the sofa bed for the first time, used the ironing board for the first time, and noticed other original packaged items). 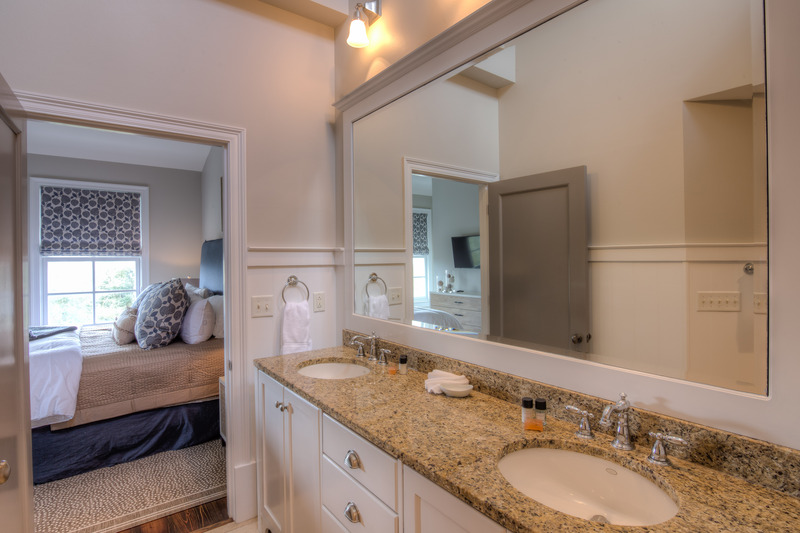 The master bedroom offers a beautiful walk-in shower and whirlpool tub. 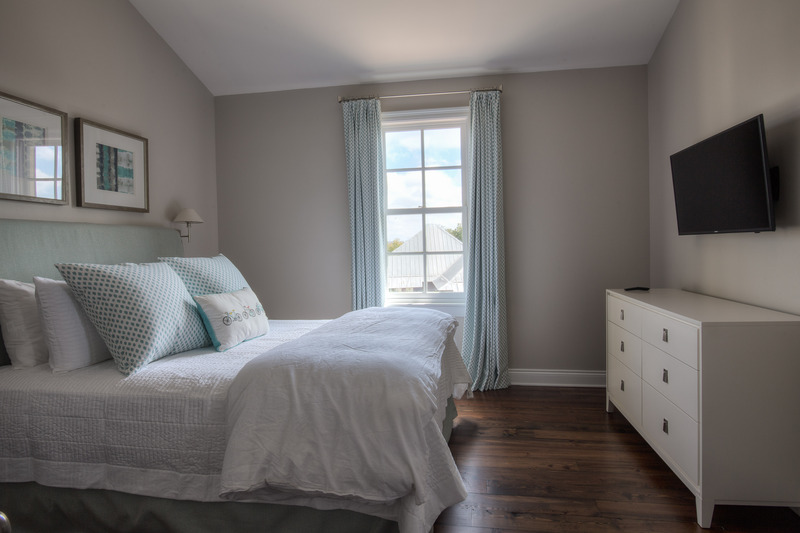 The 2nd bedroom is easily located next to the 2nd bath and the couch offers a pull=out bed. Our daughter slept on the pull out couch which has an air mattress that was as comfortable as the mattress (and laying in from the 65" tv left our daughter thinking she was sleeping a the movie theater. We were very impressed with the loft and the location! Easy walk to the beach and any of the 4 pools. We loved being close to the shops, restaurants, and enjoyed the Farmer's Market (just outside our door). The deck was one of the highlights - large deck with table (for 4) and 2 additional chairs. We enjoyed the breeze and there is even a sliver of an ocean view you could see between the rooftops. 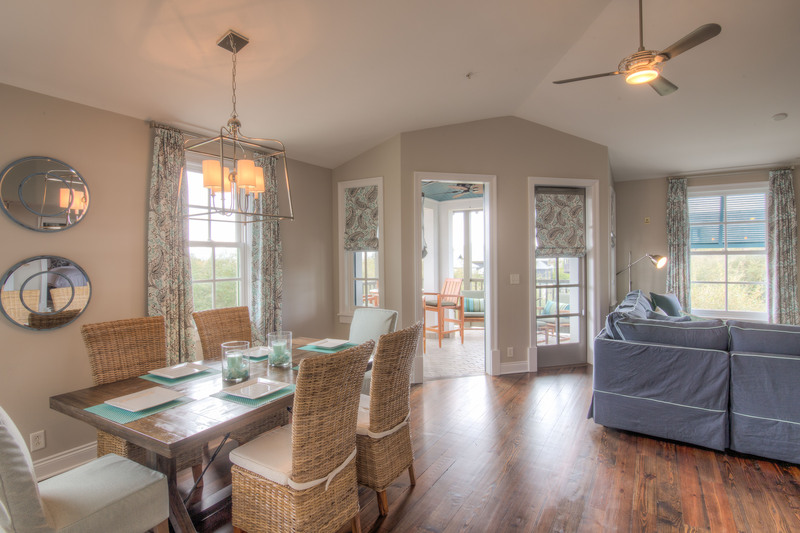 We highly recommend RoseMary Beach and Gen's Loft. We look forward to a returning soon. We greatly appreciate your business and are glad that you had a wonderful stay at Gen's Loft! The location is hard to beat, and it's good to hear that you took advantage of the local Farmer's Market located right outside your door! Please let us know if we can be of any assistance in the future, and we look forward to accommodating you again when you return! We loved being near pools, beach, shops, restaurants. Our children are 5, 3 and 2 months old. It was quiet, clean and very nice. Plenty of space for all of us! Enjoyed our stay! We'll be back! We very much appreciate your business and are glad that you enjoyed your stay in Gen's Loft! We look forward to accommodating you again when you come back! We spent two weeks at Gens Loft and thoroughly enjoyed ourselves! Any time we had a complaint or need they responded quickly! We would consider staying again. The one thing we REALLY think the place needs is shelves in the closet/pantry across from the guess bath. The kitchen is small but laid out well. We really had no where but the closet floor to put our food?! By the end of two weeks we had a bit of an ant problem. A small convenience would be a pizza pan! :) Who doesn't cook pizza on vacation! Loved the lay out and the colors! Planning next year already! Had a few hairs (ew! )when we got there otherwise very clean. We had a great time in this comfortable loft. 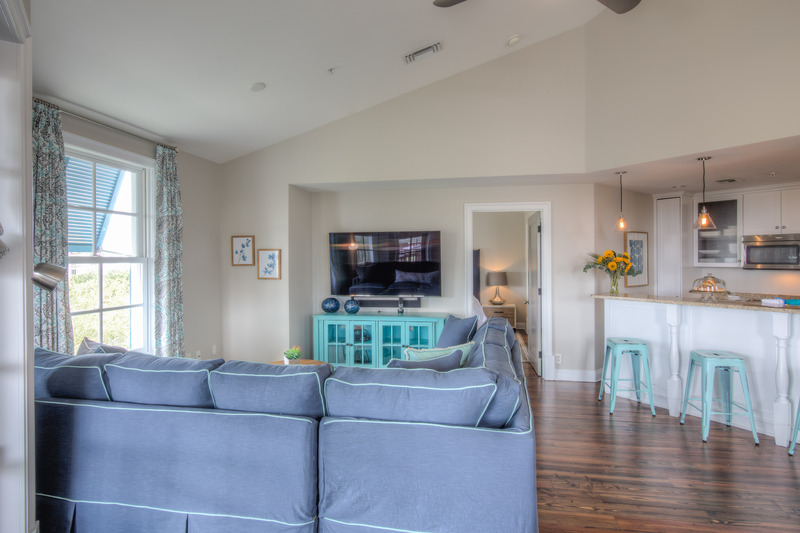 We loved spending a long weekend in Rosemary Beach and Gens Loft was a perfect location for our family. We will definitely be back!! !